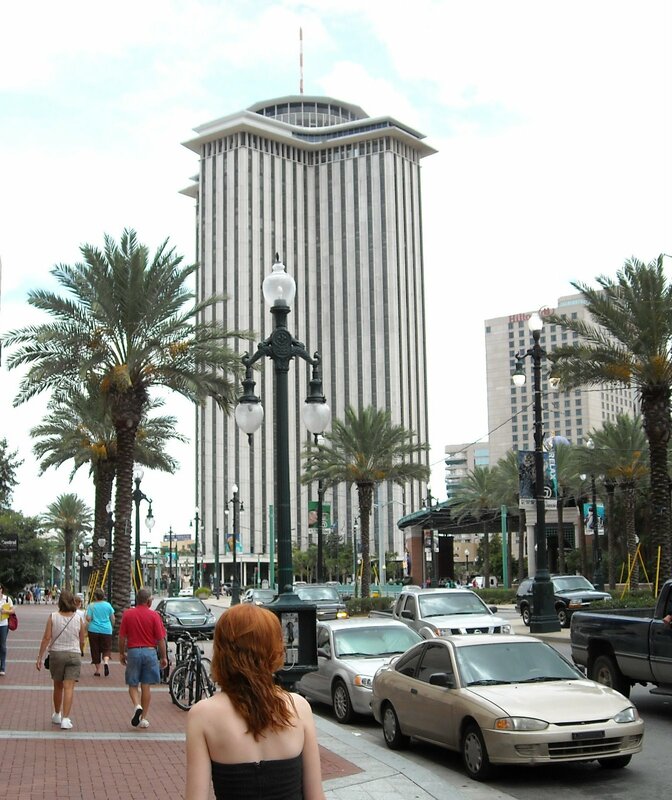 Bet you didn’t know New Orleans has a World Trade Center. They do and it has a website. The Plimsoll Club , on the 11th floor of the Westin Canal Place Hotel -a private dining facility for WTC members and their guests-is host to its countless visiting dignitaries, conferences, and celebrations. Club 360 was the restaurant at the top, similar to Windows on the World. The WTC sits on the Mississippi at the end (or beginning if you prefer) of Canal Street, which separates the French Quarter from the Central Business District. You may want to right-click (or your appropriate analogue) and “view image”. I don’t want to shrink this. WTC operations ceased in 2011 and after much kerfuffle, this is going to become a Four Seasons hotel and living.